All workplaces carry the risk of eye injuries, whether the work area is an office, a restaurant or construction site. Equipment can malfunction, sending dust and debris into the eyes, chemical splashes can happen without warning and your eyes could suffer serious trauma from solid projectiles striking them. Common workplace eye injuries may cause vision disturbances, changes to the shape or size of your pupil, swelling around the eye and pain. Always seek immediate treatment from Dr. Cooper and her associates if you suffer a workplace eye injury to avoid long-term consequences. There are ophthalmologists on call for our office 24 hours a day, 365 days per year. Children working with tools also need eye protection. Be sure your youngster has the same eye protection that you would wear yourself. 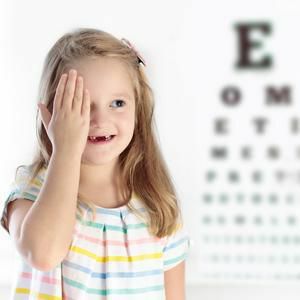 Eye injuries in childhood last a lifetime! We have kid-sized safety glasses in all different colors for both boys and girls! Wear the correct eye protection for your job. Welders and people who work with chemicals should always wear safety goggles or face masks made from a material resistant to heat, breakage, and acids. For those who wear glasses or contacts, make sure your protective eyewear fits snugly but comfortably over your eyes. Never remove eyewear just because you have walked away from your workstation. Removing eye protection prematurely puts your eyes at risk for injury, especially if you remain in a hazardous area. Check your safety goggles and glasses for "787+" or "ANSI 787" printed on the lenses, frames or both. This means your protective eyewear has been certified by the American National Standards Institute, an organization dedicated to promoting standardization of safety guidelines for U.S. companies. Side and brow protection significantly improves the ability of your protective eyewear to safeguard your eyes from injury. 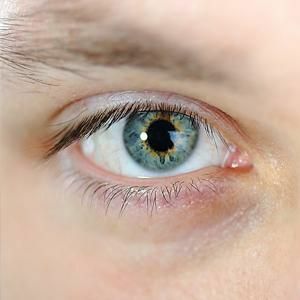 Particles and chemicals can easily enter your eyes from above and at the side. Safety goggles tend to be stronger than other protective eyewear. If you are sawing, pouring cement, working with hazardous materials or using nail guns, safety goggles are highly recommended over safety glasses. 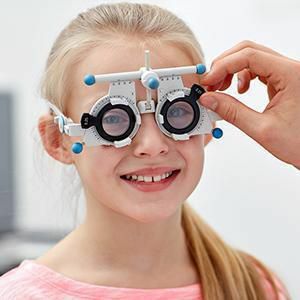 Wear safety goggles and glasses made of polycarbonate, an impact resistant, shatterproof material capable of providing excellent eye protection. If you order prescription protective eyewear from your eye doctor, get anti-scratch coating since polycarbonate by itself is less scratch resistant than plastic or glass. Don't rub your eyes with dirty hands. If you need to rub your eyes while working, leave your work area before removing protective eyewear and wash your hands thoroughly with soap and water. 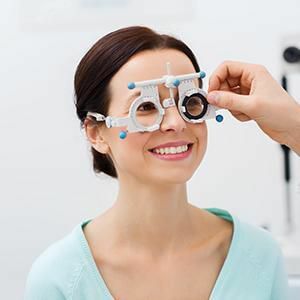 Dr. Cooper and her associates would be happy to discuss workplace eye safety with you and recommend the best kind of protective eyewear for your workplace conditions. Call your our office today at 650-259-0300 to schedule an appointment.